To make this image, I placed a ring of small, blue Lobelia flowers from the garden on a light box. Next, I surrounded it with a ring of chamomile flowers, which have white petals and a slightly yellowish interior. In the center I placed a glass purple heart. The original version is shown second from the top, with the other variations created in Photoshop using LAB color channel adjustments. If you’d like to learn how I use LAB color creatively for effects like these, check out my Advanced LAB Color Seminar on Saturday, November 12, 2016. Note that a free book give-away and an early-bird special discount both apply until July 31, 2016. This is a photo of the Hall of Mirrors in Prague in the Czech Republic. To create the negative-for-positive effect—which is somewhat like looking at a film negative rather than a print positive—in Photoshop I converted the image to LAB color, then applied an adjustment to invert the L-channel. You can click here to see the original Hall of Mirrors image. What: A Free Webinar. Join Topaz Labs for an exciting session as Harold Davis shows how he uses Topaz plug-ins to enhance his well-known botanical photos. When: Tuesday, Jul 21, 2015 2:00 PM – 3:00 PM PDT, at your computer or mobile device. Registration: The webinar is free, but you must preregister using this link. Description: Harold will demonstrate his full workflow, from photo to finished art, incorporating his favorite Topaz programs and how he uses the plug-ins both as tools and endless creative opportunities. Harold’s session will help you learn to make the most from Topaz Adjust, Impression and Simplify in the context of your photography, and explore options for using Topaz in the process of coming up with your own creative style. There will be time for Q&A at the end of the session. Bonus Feature: Topaz will be announcing Topaz and Focal Press (the publisher of Harold’s forthcoming book, Achieving Your Potential As a Photographer) coupon codes during the session and sending the coupons to all registrants after the session. Topaz will also be giving away 2 full Topaz Collections (16 programs) and 2 books by Harold Davis courtesy of Focal Press. About Harold: Harold Davis is a well-known photographer, the author of many bestselling photography books, and a popular workshop leader. He is an Adobe Influencer, a Moab Master, and a Zeiss Lens Ambassador. Flowers are a miracle! This is a spring in Berkeley, California that is wondrous in terms of blossoms, and I have been enjoying it and photographing up a floral storm, almost entirely with flowers Phyllis and I harvest in the neighborhood. The top image is an LAB L-channel inversion, and the middle image is simulated black and white infrared (“ultrarubrum” in Latin)—both images derived in post-production from the “straight” light box image at the bottom. More on these techniques in this earlier sequence of images of a lone Clematis, and more floral imagery to come when I have time to develop and process it. I photographed these flowers on my light box using the bright and sharp Zeiss Otus 85mm lens, then created a number of variations in Photoshop. The colors in flowers give me a palette to experiment with saturation and contrast, and I herewith proclaim: Bring it on! I love color! If you are interested in my flower photography techniques both in the camera and in post-production, there are still a few spots left in my Creative Flower Photography workshop at Maine Media in Rockport, Maine this coming August (2015). 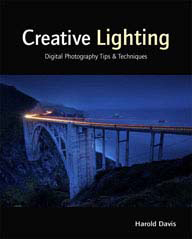 This is a five-day workshop that will cover light box photography, creative field flower photography, and Photoshop techniques. Related story: An Amazing Amalgamation of Anemones. I’m often asked what I mean by LAB color adjustments, so I thought I’d show a simple set. These adjustments are based on a likely suspect, the succulent from my front porch I shot in September. The image is shown in its original version in the linked story (check out the color version) and at the bottom here. The LAB color adjustments I used are shown in the caption of each version. Incidentally, these adjustments are pretty thoroughly explained in The Photoshop Darkroom; you can also download the Photoshop action I wrote to generate this set of adjustments. This image, with the working title Gates after Rodin, shows one model many times. The model, Jacs Fishburne, is a self-described “tornado disguised as a woman.” In the studio, Jacs was posing on a large metal hoop, sometimes called a Lyra. The Lyra was suspended by two ropes about six feet above the ground, with a black background. For some of the exposures Jacs was kneeling on the ground “holding up” the Lyra. To make the image, I shot five in-camera multiple exposures, with Autogain turned on so that each multiple exposure was properly calibrated. Each of the multiple exposures consisted of five to eight individual shots, with Jacs changing her pose between each one. I used basic studio lighting for an even, consistent look and my D800 with the Zeiss Otus 55mm f/1.4. I then combined the in-camera multiple exposures in Photoshop, using both stacking and selectively pasting bits from various versions in using layers and masking. By some ways of counting, this makes for a total of somewhere between 25 and 40 different captures of Jacs, when you multiply the number of files by the number of times she appears in each. Before finishing the image by adding a texture, I retouched out the ropes from above holding the Lyra, leaving the circular Lyra mostly in place. My own association is with Rodin’s Gates of Hell. I saw a casting in the garden at the Rodin Museum in Paris this spring. Maybe the memory of the Gates was lurking in my subconscious, waiting for a chance to emerge!